It’s almost St. Patrick’s Day; green shamrocks and leprechauns are blossoming everywhere. I dread it. I grew up Irish Catholic, and New York’s St. Patrick’s Day Parade was held out as the premier event of the year. But it’s a horror show, really: a raucous crowd moving slowly toward St. Patrick’s Cathedral—newly sand-blasted and shining like heavenly light—presided over by a rotund patriarch who will condemn a girl to hell with no chance of forgiveness if she has an abortion, even after being raped, but readily forgives the man who raped her if he confesses and says a few Hail Mary’s. It all lost its glimmer for me a long time ago. ROTC cadets march in uniform, mothers’ dear sons, a belief in invincibility propelling them to brass buttons and jaunty hats, as if we were back in Prussia 200 years ago and World War II and Viet Nam and Iraq had never happened, despite the casualties limping and wheeling along in the next regiment. Men in kilts play bagpipes. No snakes anywhere. I guess St. Patrick did his job. The parade-goers—more carpe-diem types than the marchers—are cheering, midst bar-hopping with green plastic, 32 oz. cups, screaming and singing Clancy Brothers and Tommy Mackem pub tunes (which mostly seem to end in young Irishmen taking a stand for the auld sod and being killed by Englishmen) till finally limping and vomiting into the dawn. Chicago, the Twin Cities, St. Louis, New Orleans…the disease spreads. More drunken revelers and irritating leprechauns. Is alcoholism really a defining genetic trait, one to celebrate? Does anyone find leprechauns enjoyable? St. Patrick’s Day segues into Passover and Easter, women in outlandish hats taking the places of the marching ROTC cadets and vomiting 20-somethings on the Avenue. Matzah on paper doilies at the grocery. Baskets of green plastic grass laced with oddly-hued jelly beans and chocolate eggs and bunnies everywhere else. All topped off by lamb cake. So the dancing druids of my Celtic, 20X great-grandparents celebrating the equinox have morphed into green beer, parades, and treats like pink marshmallow bunnies that will puff up like magic in a microwave. These festivities far overshadow the last Christian remnants of the ancient solar holiday—crosses of blessed palm fronds, groaning church organs and strange men in medieval robes blessing the congregation–or so I presume, since I gave it all up years ago. “I’ve lost my faith,” I explain to an elderly aunt, the last of her generation. “That I lived to see the day,” she tsk tsks, shaking her head. Sunday after Sunday, year after year, our Mother drove the one hour ride from our home White Plains to the Wingdale Psychiatric facility to visit my brother Paul and to prod the staff to take good care of him. Paul, the eighth child of our family of ten children, suffered his first psychotic break at 16 and for the next thirty two years, despite all treatment attempts, he never had more than a few moments of sanity. As our father sunk into a deeper and deeper depression, unwilling to face what had happened to his young pride and joy, Mother just gritted her teeth and did what had to be done. Dad died. Paul got sicker. But sun or snow, rainy or blustery day, Mother drove the two hour round trip and gave Paul his one day per week of almost normalcy. Picnics for sunny summer days, diner or pizza shop on bad days, an occasional excursion to a pool or bowling alley. Mother could recite every gas station, burger joint, antique shop, hardware store, exit, entrance, diner, motel, bank, putting range or ski equipment shop along the 50 mile route. When Paul was 34, Mother died, very suddenly, of a burst aortic aneurism, and the ten of us “kids” were in shock. We stumbled through funeral preparations, copying what Mother had done for Dad. She had sung in the church choir for years, and her pals did a great job singing at her funeral mass. During the priest’s homily, he spoke repeatedly about what a determined mother she was in not only raising her ten children but also for ensuring that her mentally ill son was properly cared for. After Mother’s burial, the choir and at least 80 other friends and family members gathered at Mother’s house for a funeral luncheon. As the months and years went by after Mother’s death, we siblings took up the mantle of trying to look after our brother. However, this was the age of the deinstitutionalization movement, and despite the lack of a suitable half-way facility to care for him, we were unable to prevent his release from the psychiatric facility. Without constant supervision and tweaking of his medications, he went steadily downhill. His schizophrenia was severe and persistent. He was unable to make it through the maze of “freedoms” he was given, and he cycled in and out of hospitals and group homes. We had always hoped we could keep him safe until some new treatment was discovered that would bring him back to us. But poor diet, constant smoking and general aimlessness caught up with him. Despite our efforts, he died six years ago at the age of 48. We miss him still. Current laws, meant to protect people from unjust confinement, now condemn many people with serious mental illness to a shadow life of delusions, confusion, and homelessness, horrible group homes and/or early death. Despite promising advancement in early intervention and new cognitive treatments, many with schizophrenia never really recover. The care of a family member in this age of almost no long term mental health care puts a tremendous burden on people trying to keep their loved ones off the streets and out of jail. In consideration of all these caregivers do, my sisters and brothers and I have decided to share our sisterhood name with all the other families of people suffering with serious mental illness. To the Mothers, Fathers, Sisters and Brothers of Perpetual Determination, we salute you. We have pledged our support for legislation like HR2646 and vow to fight for improved care for our loved ones. picture: to r back row: Pat, Charlotte, Sheila, Paul, Ilene; front row: John, Katherine, Julia, Grace, Monica. 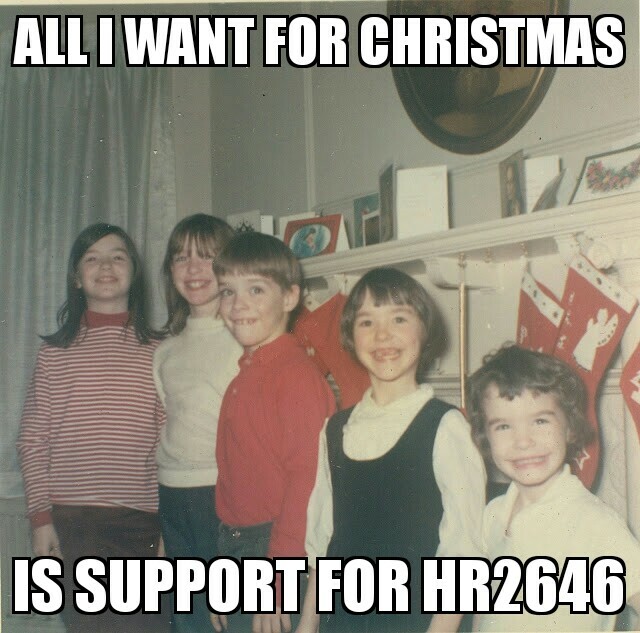 For more information on HR2646 and a letter you can copy and paste and send to your representatives go to www.shotinthehead.com and click on the advocacy page. To order my book, please go to Amazon.com. About five months after my family moved to Switzerland in 1959, Mother went into labor early, with what we thought would be her eighth child. After three weeks of complete bed rest, the surprise twin babies – eighth and ninth – were born Christmas Day. How auspicious! Paul was so beautiful, with his blond curls and long, lanky body! Even his fingers were long and elegant. Ilene, two pounds smaller than Paul, was tiny and had straight dark hair and intense dark eyes set into a little round face. She looked like the Japanese dolls, friends had sent us from Occupied Japan a few years before. The twins were baptized a few weeks later in a tiny, Medieval stone church in the nearby town of Versoix, each of them dressed in a piece of the Christening gown my father and the older seven children had been baptized in. My older sister Sheila and I (first and second of the eventual ten) held them for the service, filling in for the official godparents, who were back in the States. On Christmas mornings, for all the years that the twins were growing up, the ten of us kids (our tenth – and last – child, Julia, was born two years after the twins) woke before dawn. We waited at the top of the stairs in our pajamas, our dog Charlie whining and whimpering in the excitement, until Mother and Dad went downstairs and turned on the tree lights. Once they gave us the go ahead, we all rushed down to the living room, big kids looking out for little kids, and opened our presents in a frenzy of ripping paper and squeals and barking and the beeping and clanking of new toys. Someone put Christmas music on the record player. O little town of Bethlehem/how still we see thee lie./Above thy deep and dreamless sleep/the silent stars go by. … Our one perfect day of the year. After presents had been opened, we older girls helped Mother fix a big breakfast of bacon and eggs that we ate in the dining room. The candles on the Advent wreath, changed out from their pink and lavender to red in honor of the day, blazed all morning. There were too many of us to go to church together, so those who hadn’t been to Midnight Mass drifted off to Mass in twos and threes. From noon on, Christmas changed over to the twins’ birthday. Following family birthday tradition, Ilene didn’t have to help with dishes or set the table, the usual girl chores. Both she and Paul got to laze around in the living room and ask other people to bring them a soda or a glass of juice while they played with their new toys or watched some old movie on TV, which they got to choose. At dinner, while Dad read the gospel from the Christmas Mass, Paul and Ilene got to relight the red candles on the Advent Wreath. Mother carried in the roast beef with great ceremony and placed it in front of Dad, and the twins got their pick of the roast – they usually chose the ends, valuable mostly because there were only two of them – and they were served first. Our ten sequined, red felt Christmas stockings hung from the dining room fireplace mantle. Above them, the little brass angels of the Swedish chimes, pushed by the rising heat of little candles, clanged against bells as they swung by. Dessert was always the same – two layer-cakes in the shape of a Christmas tree, one white, one chocolate, both of them made from Betty Crocker mixes and decorated with green frosting and little globs of red, blue and yellow frosting made to look like Christmas tree ornaments. After the dinner plates were cleared away, Sheila, Mary Grace or I would go out to the kitchen to light the candles on the cakes. The twins would squirm and grin kitty-corner from each other at the long table. When we gave the signal, Johnny or Patrick would turn off the lights and start the singing and we’d deliver the cakes and birthday presents by the light of all the candles. The above is an excerpt from Shot in the Head, A Sister’s Memoir, a Brother’s Struggle, my memoir about my family, and more specifically about taking care of our brother, Paul. To order the book, please go to Amazon.com. …until he succumbed to a psychotic episode at age 16. Christmas was never the same again for our family. Despite frantic efforts to get him psychiatric care, Schizophrenia killed the brother we knew and left in his place a confused, delusional man, who had no more than a few scattered minutes of sanity ever again. And his situation worsened over the years, as most of our psychiatric facilities were closed and fewer and fewer facilities were available for the care of those most seriously ill.
Our system of care for people with serious mental illnesses in our country is simply not working. 4% of our population suffers from a serious mental illness, and many of them, like my brother Paul, never really recover, even if they stay on medication. Only about one third of people diagnosed with schizophrenia recover, a third cycle in and out, and a third never achieve any appreciable recovery. Many of these are homeless or in jail, due to the lack of appropriate care facilities and supportive housing. Over the past few years, the families of people like Paul came together and let our congressmen and senators know that we wanted them to end the IMD exclusion, a provision of Medicaid that prohibits providing benefits – i.e. funding – to people being cared for in an “institution of mental disease.” So far, even when HR2646 was passed, and rolled into the 20th Century Cures Act, it not address this issue. But although the provision has still not been repealed, Alex M. Azar, Secretary of Health and Human Services has recently released instructions allowing the States to apply for a waiver to the the provision, which will allow them to care for seriously mentally ill people in the hospital, if that is what their illness requires. This is a step forward, but not enough. The most seriously ill, like my brother, however, need supportive housing. It is as important a component of their care as their medications. But because of the IMD, long term housing for mentally ill people still cannot include supervisory and medical staff. A psychiatric nurse who works in a county upstate told me once that they saw the same mentally ill patients cycle onto their ward over and over again. “It’s David again,” they’d say to each other when the call came in that a psychotic man had been brought into the ER. Or Cheryl, or John… They knew what drugs worked the last time, so they’d get him or her stabilized in four or five days, then release them to a taxi with a paper prescription, $25 and one night prepaid in a local motel. They would be back in a month or two. psychosis, fights, rehospitalization or jail. No day clinic, no pretense of psychiatric care. You’re in charge of yourself. Let someone know if you’re feel bad. Nothing to do and no supervision. Police car stops. They’re off with my brother.